Agents get hundreds of queries a week. Your odds of a query resulting in an agent requesting your full manuscript is around 1%. But what happens after you get the email you’ve been dying to receive, and the agent wants to see more? According to Writers In Training, your odds of making it from full manuscript request to signing on with an agent are anywhere between 3%-10%. Still, the chances of becoming published are lowlowlow. Now here’s the real deal: your odds are low because the market is flooded with queries and manuscripts that aren’t ready. GOOD WORK WILL GET DISCOVERED. It shines like a mint penny on a stack of others that haven’t yet been polished. It may take time. It will take work! But your odds, a hard worker’s odds of being that 1% who gets discovered skyrockets. Everyone gets rejections. It’s the way the cookie crumbles. But don’t let those rejections stop you! Lit Rejections states how many times famous authors have been rejected and it will certainly boost your hope in the publishing process. BOTTOM LINE: Your success depends on you. Make sure your manuscript is complete and polished before you query. Be willing to accept and utilize criticism. If your query isn’t getting many responses, change it. Do your research, and get to know the agent/agency you’re querying. You may have a Creative Writing degree, but don’t assume there’s nothing left to learn. You may not have a Creative Writing Degree, but don’t assume this hinders your opportunity to become an author. Just be willing to learn. And to end this list because it could go on forever: be willing to accept change. The market changes. People change. 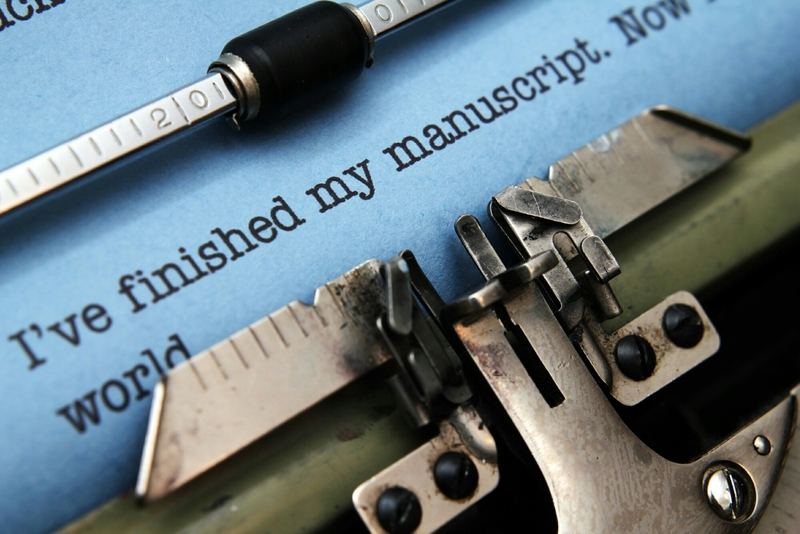 You may have to put your novel on a backburner, but don’t give up. Write another. Persistence is key! Wrote a book. Then I learned how to write. Wrote it again. Like four more times. Sent said query to 5 carefully selected agents. Received 2 form rejections after several weeks. Sent said query to 7 more agents. Received 6 responses within a cpuple weeks, 2 of which includes a personal tidbit, stating they enjoyed my premise but couldn’t connect with the writing. Get really excited and Google “signs of an amateur writer” and fix my novel in every way possible, and change up the beginning chapters. Sent said query to 6 more agents. Received 4 personal responses within days, no negative feedback. Sent said query to 4 agents to replace the ones that had already responded. Received my first request to read “the full” only 12 hours later. And now I’ve caught up to the present. I’m currently waiting for the offer or the rejection. Naturally an offer would be delightful, but a rejection will provide another learning opportunity. I will continue my journey, regardless of the news, because a simple rejection cannot take away the milestone I’ve reached (request for the full!! ), and I’m excited for whatever the future may bring. Stay positive folks! And thanks for reading. Hope this post boosts your confidence. If you want it bad enough and are willing to make it happen, it will happen. Thank you for all the insightful information! I have a friend querying agents right now so I will be sure to pass on this article to him. 1% sounds tough… I hope you managed to get that offer! Glad you enjoyed the article! More to come soon. 1% is definitely achievable for those willing to work for it! Way to go! I could wallpaper my house with rejection letters, but I eventually got my contract–there’s a reason I have “tenacious” tattooed on my wrist. It takes fortitude and a good case of hootspah to keep going, which it sounds like you’ve got. Never let anyone stop you. You are learning a new craft, and that takes time and effort, but you can do it! Thanks for the encouragement! Even though I try to fluff others up, it’s quite nice to get some myself. Congrats on your contract! It certainly takes diligence.